Power struggles. Kick*ss women. Beautiful costume design. BUY YOUR TICKETS NOW. After the death of his father, the King of Wakanda, T'Challa returns home to the isolated, technologically advanced African nation to succeed to the throne and take his rightful place as king. 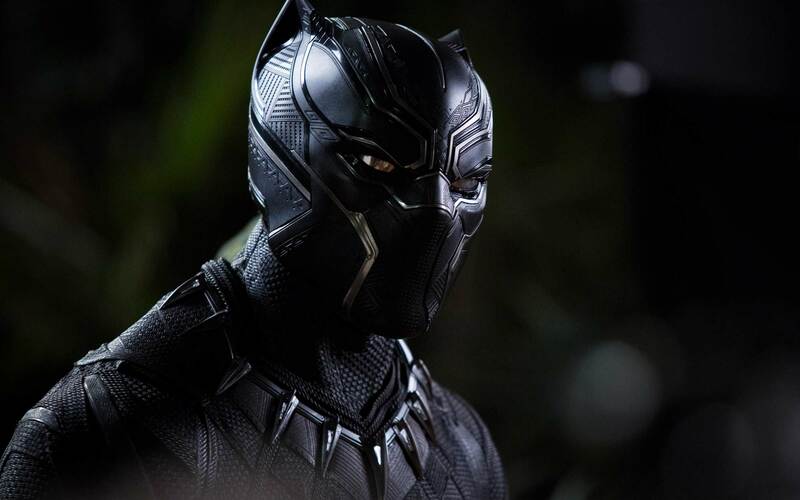 But when a powerful old enemy reappears, T'Challa's mettle as king—and as Black Panther—is tested when he is drawn into a formidable conflict that puts the fate of Wakanda and the entire world at risk. Faced with treachery and danger, the young king must rally his allies and release the full power of Black Panther to defeat his foes and secure the safety of his people and their way of life. He made his first appearance as T'Challa in 2016's Captain America: Civil War, but before that, he sang up a storm as James Brown in the biopic Get On Up. He knocked out audiences in Creed, his previous collaboration with director Ryan Coogler. Best known for her breakout performance in 12 Years A Slave, she more recently made a splash doing voice work as Maz Kanata in Star Wars Episodes VII and VIII. Instead of a spear, she wielded a katana as Michonne in AMC's The Walking Dead. He first appeared as the CIA operative in 2016's Captain America: Civil War. Before that, he outsmarted the dragon Smaug as The Hobbit himself, Bilbo Baggins, and solved a few mysteries as John Watson in BBC's Sherlock. He's mostly done a lot of British TV. You may have seen him in the spooky Black Mirror, but he was also on the big screen in 2017's Get Out, and with Rowan Atkinson in Johnny English Reborn in 2011. The actress from Guyana as done a lot of TV work, but this is her first big Hollywood blockbuster. You'll see her next in Ready Player One. He's been in shows like Law & Order: Special Victims Unit, Person of Interest, Modern Family, and he'll be back in Avengers: Infinity War. Your parents or older siblings might have seen her as the iconic Tina Turner in the biopic What's Love Got to Do with It. More recently she was in Olympus Has Fallen and London Has Fallen with Gerard Butler. You've seen him everywhere! From Good Morning Vietnam to Battlefield Earth, from TV shows ER and The Shield to Criminal Minds: Suspect Behavior, from The Last King of Scotland to Rogue One: A Star Wars Story. Half the time, you don't really see him because he's playing a CGI character. He was also Gollum in all The Lord of the Rings movies and the giant ape King Kong, ape leader Caesar in the Planet of the Apes movies, and Supreme Leader Snoke in Star Wars Episodes VII and VIII. The German actress was also in Wonder Woman as Senator Acantha. The South African actor first appeared as King T'Chaka in 2016's Captain America: Civil War. He was also in The Ghost and the Darkness with Michael Douglas and Val Kilmer. The Marvel Cinematic Universe Black Panther is based on Christopher Priest and Ta-Nehisi Coates' comics runs. All the costumes in the movie are based on or inspired by traditional clothing from real African tribes! In case you're getting confused, Black Panther is the 18th movie in the Marvel Cinematic Universe, which kicked off in 2008 with Iron Man. The story continues exactly where Captain America: Civil War left off in 2016. There are lots of guides online about which movie (and TV shows!) to watch in the proper sequence! Chadwick Boseman wants you to know that there are no damsels in distress in this film. From Nakia (Lupita Nyong'o) to the fearsome women warriors in the Dora Milaje, from queen mother Ramonda (Angela Bassett) to royal sister Shuri (Letitia Wright), every single woman is strong, smart, capable, and independent. And they all look fabulous. One of the most memorable things about the Black Panther trailers was the vibrant music. That's also one of the things that stands out about this movie. That's mostly because Kendrick Lamar "curated" the music. I've got to admit, the Marvel Cinematic Universe is close to my heart, and I was super excited about this movie. I was expecting exciting action, beautiful costumes, breathtaking set design, and powerful performances from amazing actors. I got all that, but wow, Black Panther is about so much more. I saw women in positions of authority, creativity, and leadership. I saw respect for and celebration of African tribes. I saw the struggle of black people, of the colonized and the oppressed. I saw humor, unity, family, love, and respect, between T'challa and the Dora Milaje, between the tribes, within the royal family. I saw socially relevant issues: poverty, foreign aid, refugee crises, human trafficking, post-colonial Africa, American intervention and diplomacy, the struggle between tradition and innovation, between the personal and the political, between principle and profit. I had high expectations about this movie because of the fantastic reviews and ratings that it had received, and I’m glad to say that I wasn’t disappointed at all. The pacing was just right, the storyline was well thought of, and the music and costumes were excellent! It wasn’t one of those films wherein you’d space out in the middle because there was just too much going on. I don't know anyone who isn't excited about this movie! Take your barkada so you can enjoy the action. Take your fashionista BFF and drool over the costumes. Watch it with your boyfriend and get all kilig over T'Challa and Nakia. Take your mom and your lola, and your younger siblings so they can see Ramonda and Shuri making a mark despite their different ages and capabilities. Watch it with your officemates so you can have #woke lunchtime conversations the next day!